So, who are we? We’re Garvin’s Sewer Service, right? After all, there are around 200 blogs on this site telling you mostly about our sewer cleaning, drain cleaning, rooter service, and giving you the ins and outs related to our sewer camera. What’s that name, again? Garvin’s SEWER Service? That’s all about dealing with blackwater. That’s what we’ve been doing for more than 75 years in Denver. So why are we talking about plumbing? Are we talking about the same Garvin’s? We sure are. We’re happy to tell you that Garvin’s is there for all of your plumbing repair needs. We have plumbers on hand who can come into your home and take care of your plumbing services as quickly, efficiently, and in the same friendly manner as we’d handle your sewer service. So what can Garvin’s help with when it comes to being your local plumber. Leaks are a problem on so many levels. First of all, every leak wastes water, which is something we all have to be aware of in the arid climate of Colorado. And with that wasted water comes a higher water bill, something we’d all like to avoid. Second, even the smallest leaks can cause a multi-thousand dollar repair if left untreated by a plumber. Leaks under sinks can spill out onto carpets and hardwood floors, causing considerable damage to the unlying flooring. A leak on a second-floor toilet can stay hidden for days or weeks until the drywall ceiling below it collapses in a wet mess. All of these leaks can lead to something that’s truly horrible in your home: mold. So if you’re aware of any leak in your home, whether it’s freshwater coming in or used water going out, get it repaired by a plumber as quickly as possible. When your water heater goes out, you’re going to know it! You might not use hot water when you wash your hands, but the second you step in the shower it becomes pretty obvious what’s going on. Water heaters of today are more complex than ever. Some have push button pilot lights, some have extensive computer systems, and some, of course, are tankless and work on a completely different principle from a traditional tank model. If you need water heater repair or installation, count on Garvin’s to get your hot water back. You’ll get your dishes cleaner again, and it makes for a much more pleasant shower! As we mentioned above, Colorado is a pretty arid area. Still, that didn’t stop it from flooding in Longmont in 2013, soaking the basements of many owners who never thought they’d need to get their sump pump repaired. 500-year floods seem to be happening every 10 years or so! All this to say that you can never be sure when you’ll need your sump pump. If there’s any chance of your home flooding, make sure you have a working sump pump at the ready. 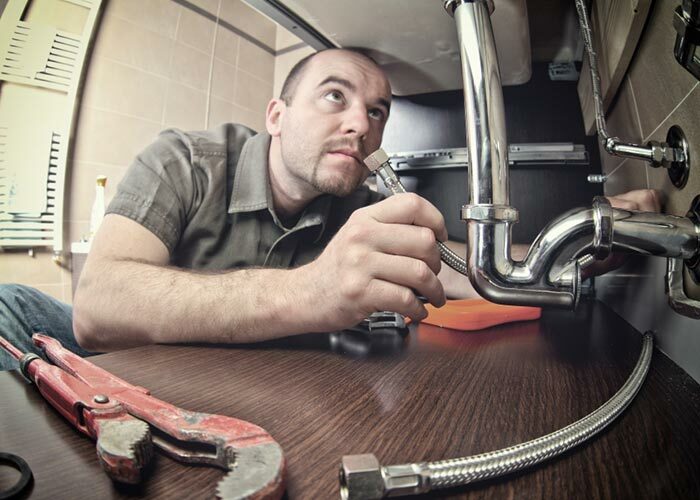 Even though the plumbing service and sewer services can be considerably different, you’re still dealing with the same friendly staff, whether it’s the technician who shows up to your door, the person who takes your call, or the owner / manager watching over them. When you need plumbing services in Denver, Garvin’s is there to fix your leaks, get your water heater going, or ensure your sump pump is keeping you dry. When it has to do with whitewater or blackwater pipes, contact your local plumbing contractor. We’ll be there in a flush! https://www.garvinssewerservice.com/wp-content/uploads/2017/02/logo.jpg 0 0 Garvin's Sewer Service https://www.garvinssewerservice.com/wp-content/uploads/2017/02/logo.jpg Garvin's Sewer Service2016-05-01 21:26:252016-05-01 21:26:25More Than Just a Sewer Service! Garvin’s Is Your Plumber For All Plumbing Repairs!